Experience the difference of client-centered care! 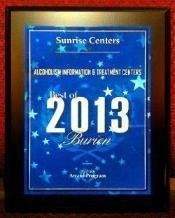 And, again, Best in Burien, 2015 through 2017. We work hard to earn your respect! No matter what circumstance propelled you into the often overwhelming (and nearly always stressful) world of sudden judicial scrutiny, financial costs, assessment and possible treatment requirements associated with a drug or alcohol related life event (be it alleged, or be it factual in some or all of what occurred), the last thing you need, at this point, is another source of stress to add to the challenges you are already facing. You need help – support, advocacy, assistance – in resolving the situation. 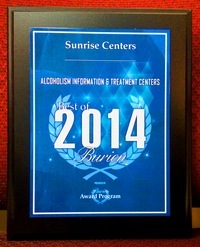 Whether you have identified, on your own, a life change you want to make (and are seeking help, of your own choice), or whether you have been told you have to get an assessment or have to do treatment by the courts or some other authority, at this crucial time you need someone in your corner helping you navigate the maze you are facing. In short, you need things to start getting better, not worse! 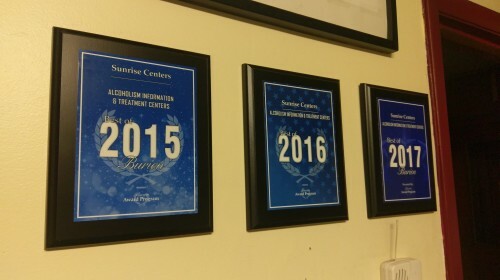 And, that’s where it makes a huge difference what treatment center you choose…. 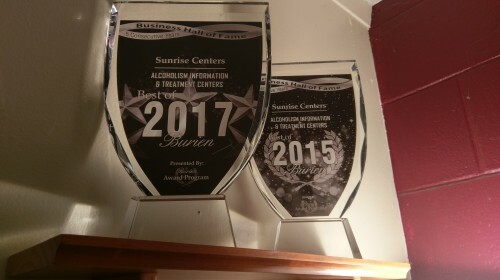 In accordance with the requirements of Title II of the Americans with Disabilities Act of 1990 ("ADA"), Sunrise Centers will not discriminate against qualified individuals with disabilities on the basis of disability in its services, programs, or activities.